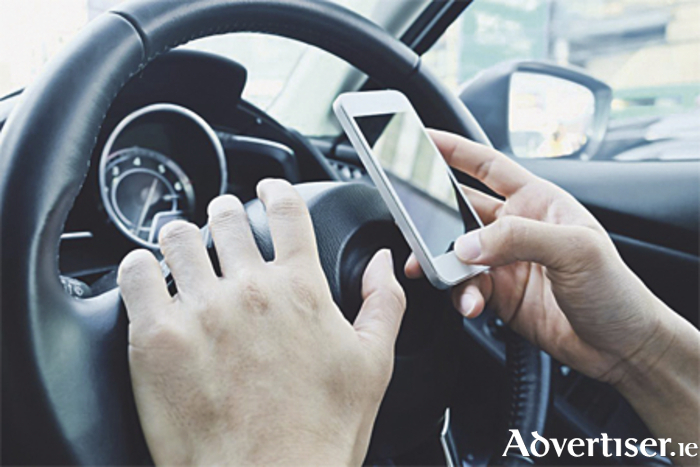 A survey of Irish motorists carried out by tyre manufacturer Continental shows that other drivers’ use of a hand-held mobile phone while behind the wheel is the single most annoying bad habit on the road. Some 68.4 per cent of drivers highlighted this as their biggest bugbear when it comes to bad habits of other drivers. The other most annoying habits that irked respondents included: overtaking illegally or dangerously (47.7 per cent ); driving too slowly (44.1 per cent ); not indicating or generally bad lane use (43.2 per cent ); and breaking the speed limit (40 per cent ). More than half of drivers (51 per cent ) said that looking down at a mobile phone while texting, using apps or the internet is more dangerous than making a call with the handset held to the ear. The research for Continental Tyres was commissioned to address how road safety can be improved and accidents reduced as part of the company’s long term commitment to ‘Vision Zero’. It is Continental’s aim, through its innovative tyre technologies and automotive systems, to achieve a situation where there are zero accidents and fatalities on the road. In an effort to tackle the problem of drivers’ bad habits, respondents called for more education of drivers (40.9 per cent ) and/or more Garda enforcement of the laws governing driving (34.2 per cent ). However, showing a certain amount of double standards, some 45 per cent of the same respondents admitted to regularly breaking the speed limit and nearly 40 per cent (37.8 ) said that they regularly use a hand-held mobile phone while behind the wheel. Tom Dennigan of Continental Tyres Ireland said: “Driving is a complex task that requires our full attention and concentration. When the bad habits of other drivers distract us from that task that can have serious implications for road safety.